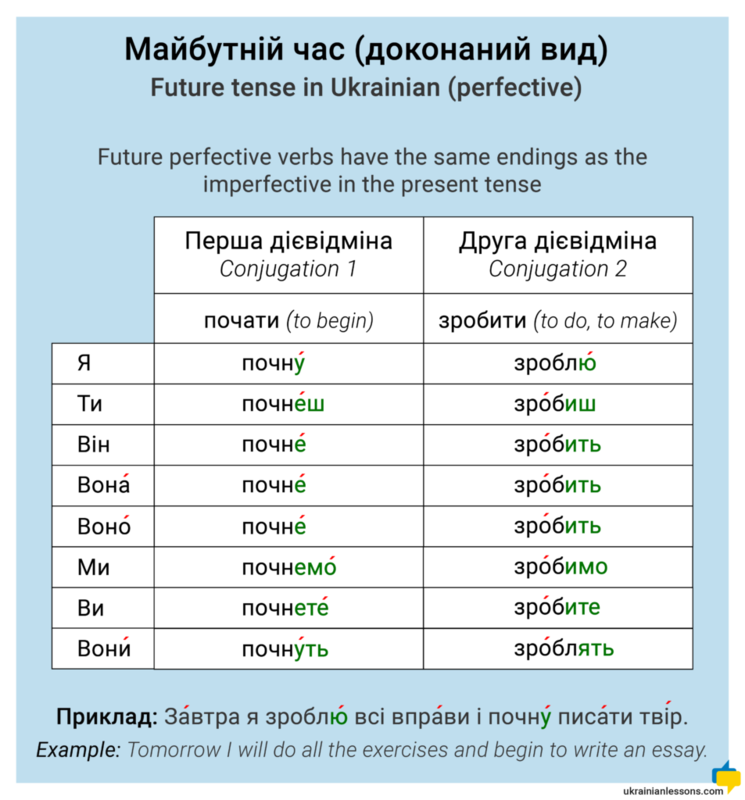 Майбутній час is the future tense in Ukrainian. Luckily, there is only one tense for expressing the future. However, we have two forms of verbs in the future and the past: недоконаний вид – imperfective and доконаний вид – perfective. Imperfective verbs express the action which has no direct ending and lasts for some time. Perfective verbs show that the action will be finished in the future. 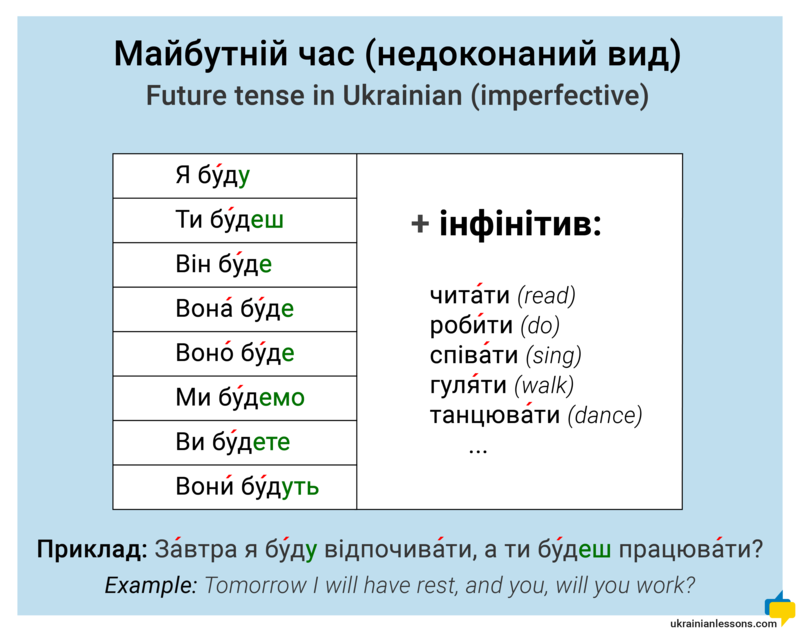 Study the tables of the future tense in Ukrainian and learn how to talk about future! Are you beginning to learn Ukrainian? 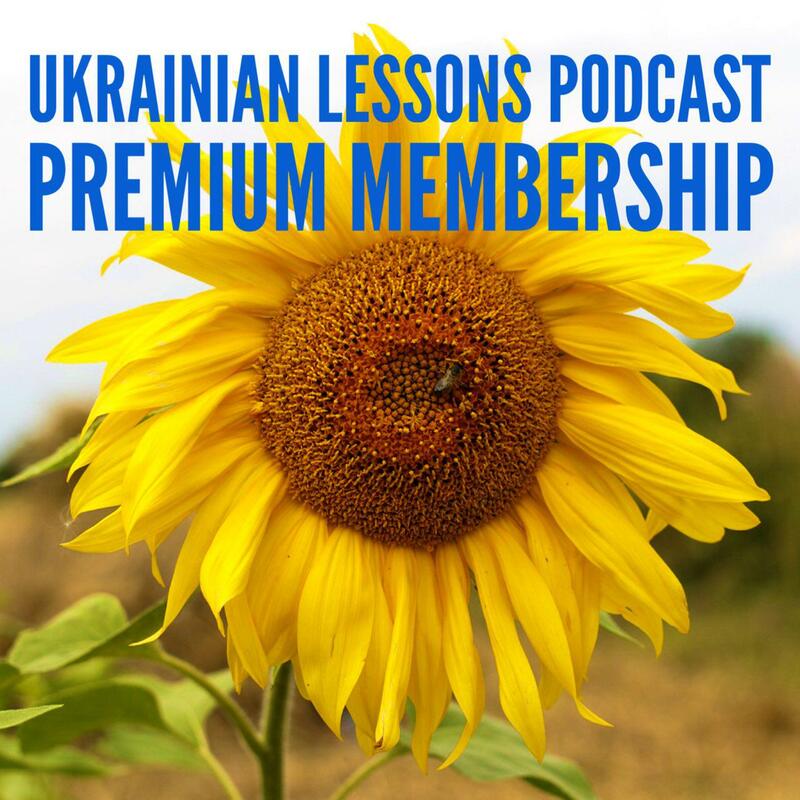 Check our series of Ukrainian Lessons Podcast and start with our list of 14 most common expressions right now. Do you need personal assistance in learning Ukrainian? Book a lesson with a professional teacher to have your first conversation in Ukrainian.